Leland Davis, 78, of Blue River died Thursday, April 4, 2019 at the Richland Hospital. He was born on April 11, 1940 in Richland County the son of Arnold and Marian (Bethke) Davis. 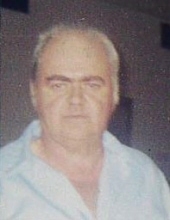 He worked in farming and later owned and operated a bulk milk truck for several years. Leland enjoyed hunting, fishing and spending time with his family. For the past three years, he made Pine Valley Community Village his home. Leland was preceded in death by his parents Arnold and Marian, brother Leslie Davis, nephew Brian Colson. To send flowers or a remembrance gift to the family of Leland Davis, please visit our Tribute Store. "Email Address" would like to share the life celebration of Leland Davis. Click on the "link" to go to share a favorite memory or leave a condolence message for the family.